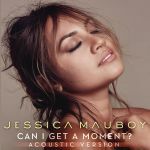 charts.org.nz - Jessica Mauboy - Can I Get A Moment? 1. Can I Get A Moment? Absolutely her best single since What Happened To Us?. I've been waiting for her to do something like this for quite a while and it actually turned out better than I expected. This could be an absolute summer smash, so I just hope it doesn't flop. I'm on the fence with this one. 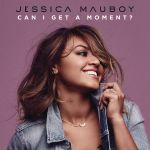 It will most likely grow on me, but I can't seem to get straight into it like with most Jess tracks. It will probably be like TTEOTE and grow on me six months after release. Probably one of her best tracks this decade. Pretty good. She's definitely had worse.<br><br>3.25*. Very much in the vein of Little Mix, with plenty of horns to boot. Nothing overly great but an improvement on her last couple of singles. One of her better efforts. Very catchy comeback. I'm impressed. OK but just too much going on for me to really like this. Average. It's not bad but the style doesn't interest me so much. A step back from her recent output.